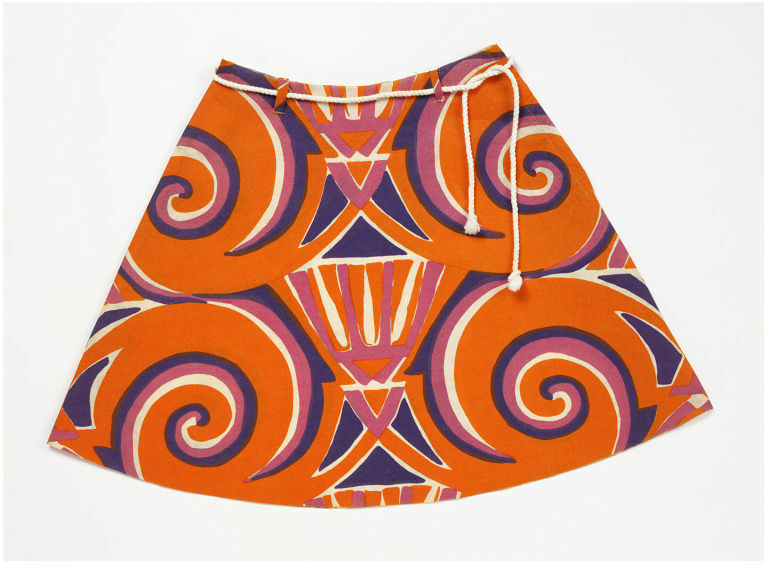 Paper dresses were a brief but spectacular 1960s sensation. They were cheap and disposable, and the simple 2-D shape was ideal for the bold graphic prints that were so fashionable. Dispo's paper dresses were actually made out of a bonded cellulose fibre and could be washed. A Which magazine consumer trial found that they could be worn at least six times, while other brands would not survive beyond two or three. 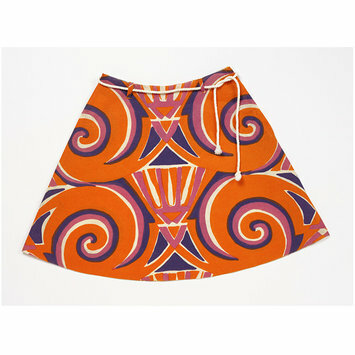 The design on this skirt was inspired by shapes seen in Ancient Egyptian writing. Mini-skirt and tie of cellulose fibre and rope belt. 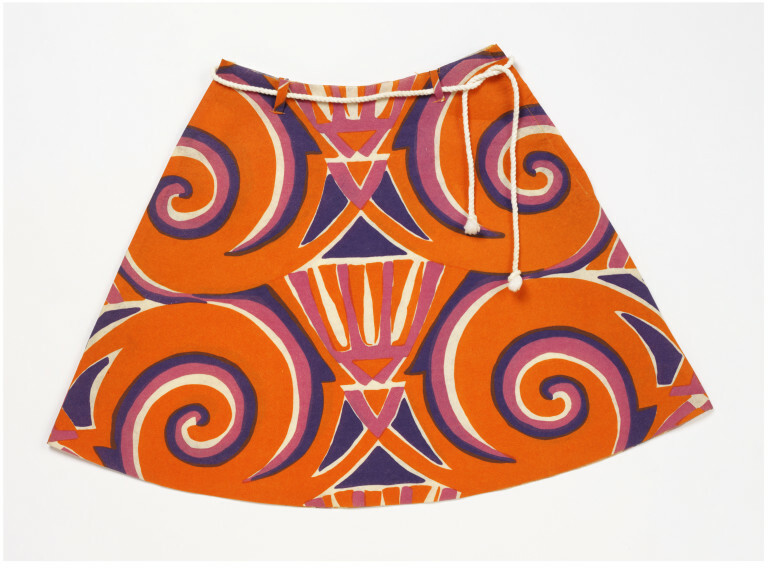 Mini-skirt and tie of cellulose fibre and rope belt, made by Dispo (Meyersohn & Silverstein Ltd), London, 1967.